Blue Tourmaline, also known as Indicolite, belongs to a group called Elbaite, which is a member of the Tourmaline family. Elbaite is by far the most colorful group, including Indicolite (blue), Verdelite (green), Rubellite (pink) and Watermelon (pink with green rind). In general, Tourmaline can become electrically charged as a result of heat or pressure, which is a testament to the ability of these crystals to impact one’s energy field. Tourmaline is very grounding and helpful in releasing stress and tension. 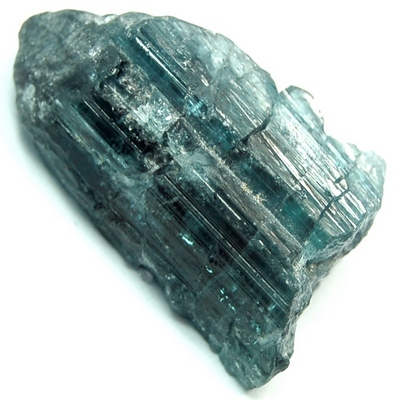 Click here to see Blue Tourmaline in our online catalog.